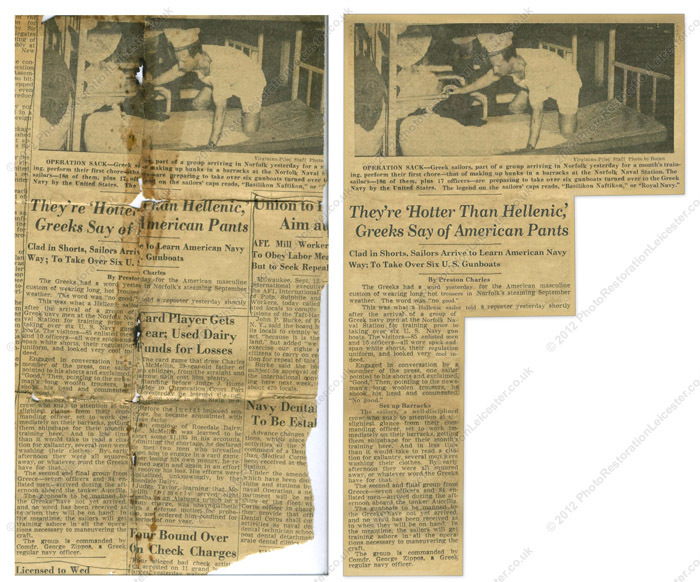 Do you have faded photographs or pictures with rips, tears or water damage? Perhaps you'd like to add some colour into an old black and white photo? 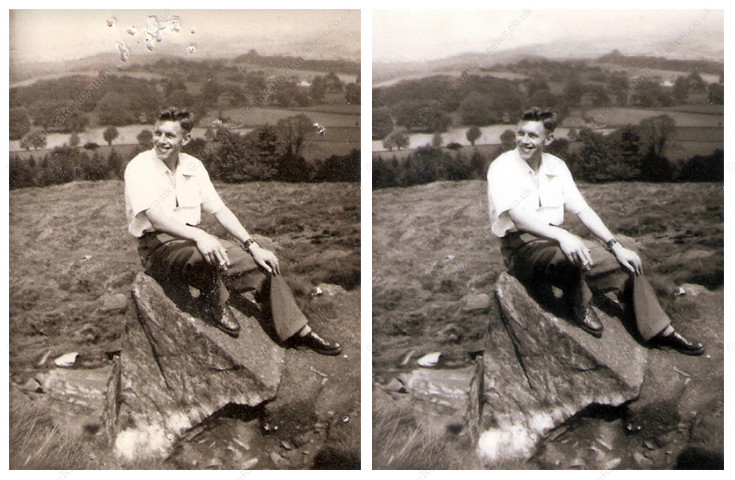 We can even add, change or remove people or objects within your images!
. 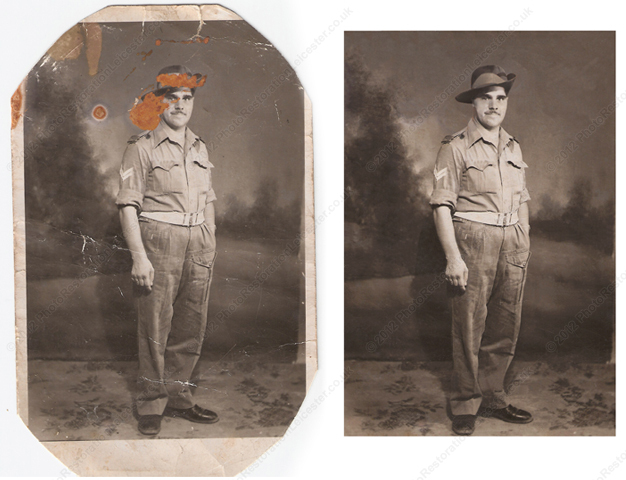 Treasured family pictures are priceless, but even with the utmost care can become damaged over the years. For more information on our services please get in touch. Standard Restorations are £20. 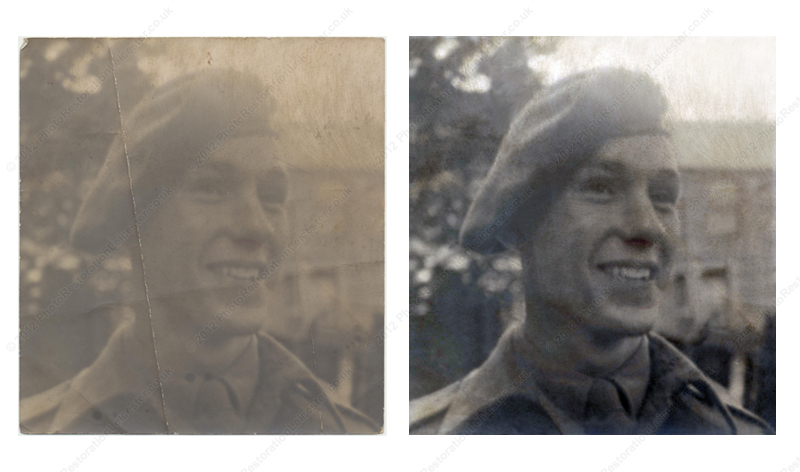 Advanced Restorations with significant damage cost between £30-40, and Ultimate Restorations for heavily damaged photos will be quoted after viewing. All repairs come with two 6"x4" prints and a digital copy. Further formats and prints are available on request. Often generating the best results, posting your photos or negatives to us allows us to scan them with high quality equipment and generate better end-results. When sending by post; please purchase recorded delivery and include insurance if the photograph is particularly valuable. Also include something to stop the envelope from bending such as a postcard, if possible. If you want to send a batch of photographs (10+) or large images that cannot be posted, we can have them collected for £4.99, or £9.99 insured. • Scan your photos at 600DPI if possible, or 300DPI minimum. Note that DPI is sometimes called PPI. 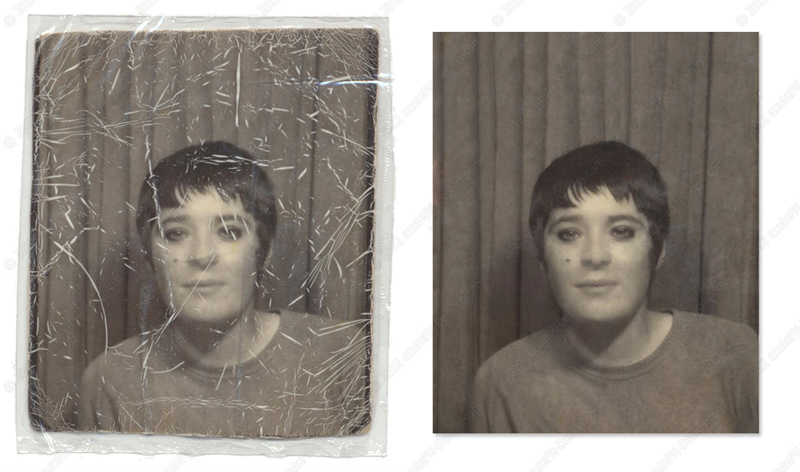 • Make sure your scanner's glass and photo(s) are clean before scanning - dust and fingerprints show up! • Disable any 'auto-contrast' or 'colour correct' settings your scanner may have. • Save in .JPG, .BMP or .PDF file formats if possile. 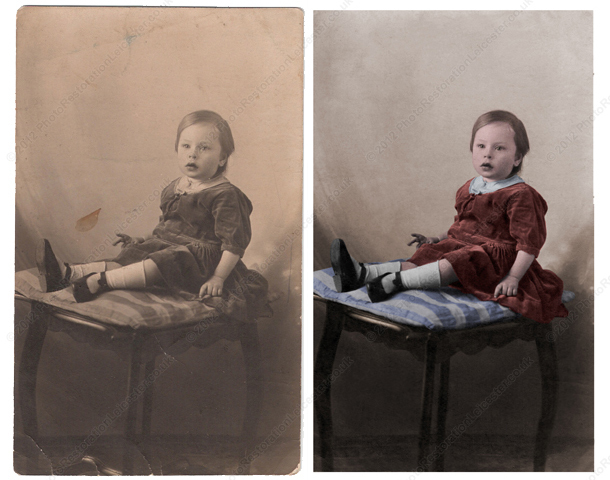 www.wetransfer.com to upload your images before sending them to Photo Restoration Leicester. 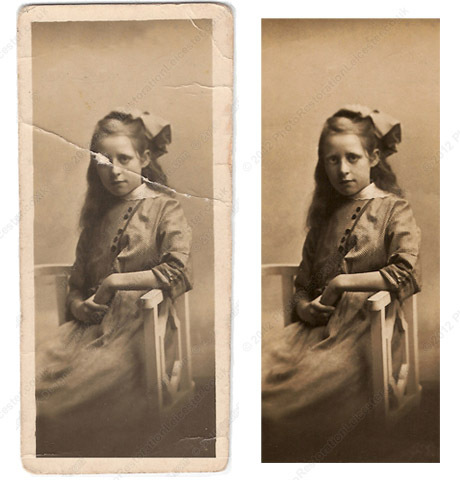 Some print or camera shops will have scanners and photo-copiers open to the public and you could use these to scan your photographs before sending to Photo Restoration Leicester. When using a professional scanner, please still follow the guidelines above to ensure a good quality copy. 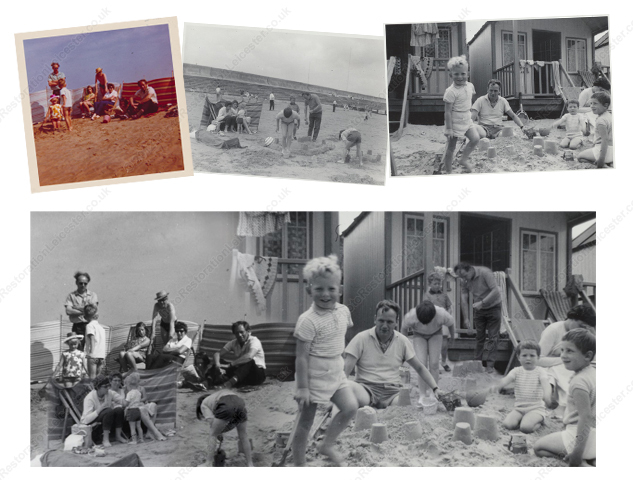 For information or assistance with scanning your photos call us on 07913 979849 or email . © 2019 acuteFX Design Ltd.